I will be doing Lunch Box dishes for the first week. 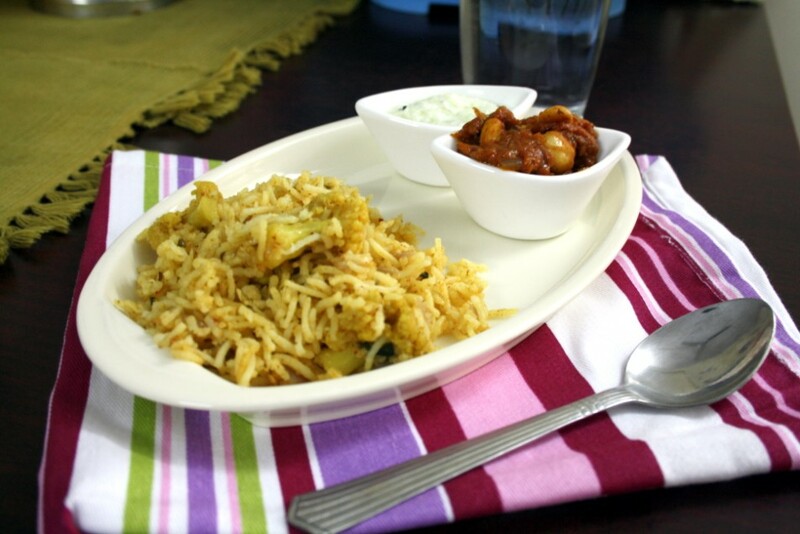 First to come is a delightful dum biryani with cauliflower. This can be a weekend special. And my kids loved it so much! We were amazed because we didn’t expect them to like cauliflower in the rice. Kids are having their exams and it’s been hectic trying to get them serious. And they are already looking forward to their vacation. Mint & coriander leaves – 1 cup together loosely packed. It looks so hearty and filling, Valli. 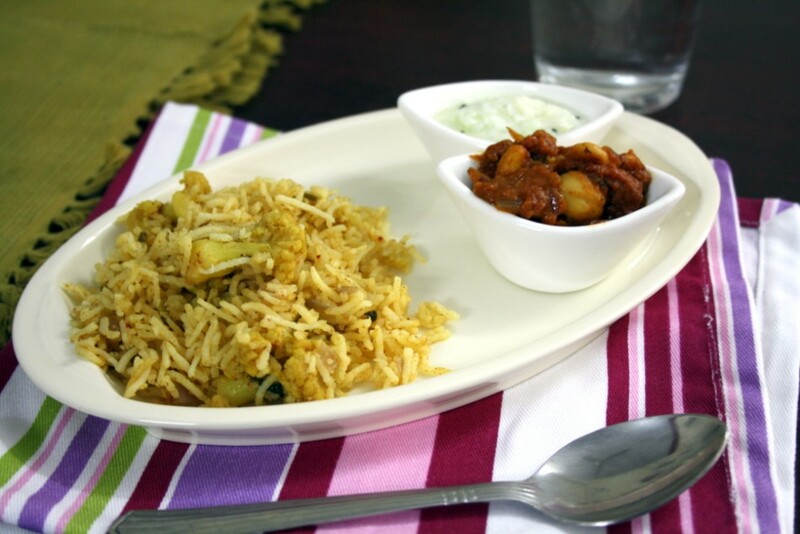 wow, lovely biryani, wonderful idea of making dum biryani with gobi..
Super flavourful inviting briyani,simply makes me hungry..
Nish Dum is the process where the final dish is cooked with closed covered lid in slow flame for a while. Though in this dish I may not have exactly cooked it for 30 mins, it is still cooked for 10 -15 mins. 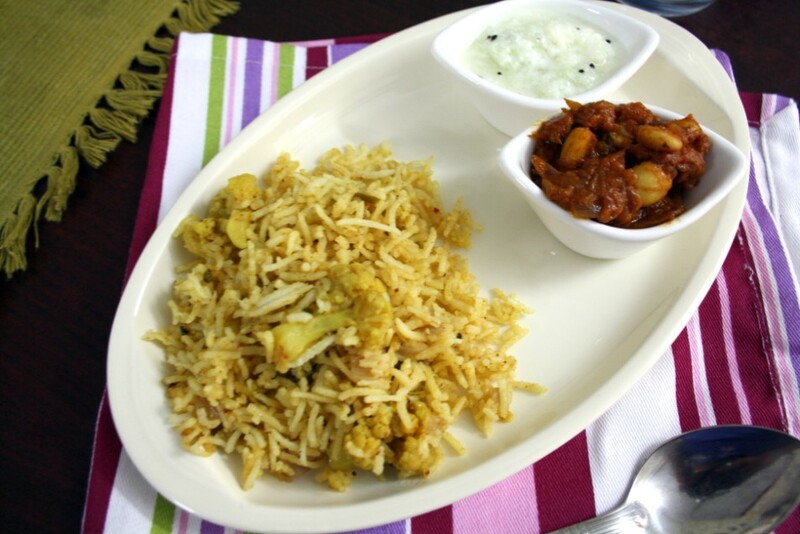 I haven't tried cooking gobi pulao until now, somehow. 🙂 Your version sounds very delicious.